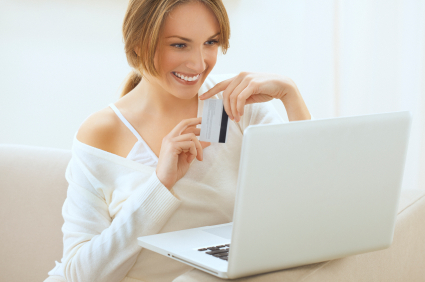 Is there a good time to buy online? There are some days in the US calendar that are really special to do some shopping. There is massive competition between retailers, and not one of them can afford not to participate and potentially risk losing revenues and/or market share. Here are some helpful tips to maximize savings on great shopping days! Also, these online stores often use these days to boost sales quickly without having to distribute stock to stores and therefore can distribute that saving to consumers. Online retailers are making it really easy to shop on these days, and offer discounts, coupons, free shipping, BOGO’s, and other incentives. My advice is to keep an eye of these days and if you’re looking for something specific it might behove you to wait for these crazy sale days. Independence Day - July 4th – A day that the US celebrates its independence is celebrated by shopping! Back to school supplies are offered with deals on Laptops, Tablets and other stationary/office supplies. Amazon Prime Day - Mid July (2016 was July 12) is a day for shopping for Amazon Prime Members. Crazy deals called “Lightning Deals” appear across almost every category every few minutes. Gray Thursday – This is where things start getting exciting for shoppers! Its actually the afternoon and evening of American Thanksgiving (the 4th Thursday of November), and some retailers try to get a head start on by beating their competition to consumers wallets. NB: Black Friday – the day after American Thanksgiving is historically a major day to look for great deals and is the second biggest shopping day of the year in the US. Many folks prefer the comfort of their couches and buy online, than the craziness of the malls to shop for deals. NB: Cyber Monday – This is IT! The Monday after American Thanksgiving and is the biggest online shopping day of the year, with all online retailers looking to have a final push on sales and pull all the stops out on discounts. Green Monday – second Monday in December is when the Online retailers look to boost sales in time for the Holiday gift rush. Super Saturday – the last Saturday before Christmas, and the biggest retail shopping day of the year. Might be good to see the newest stuff being released and available. Boxing Day – December 26 is a common day for consumers to go shopping and look for discounted bargains like Black Friday and Cyber Monday.